It’s been the longest debate in BSGE history, perhaps right after whether there’s a pool on the roof of the school. 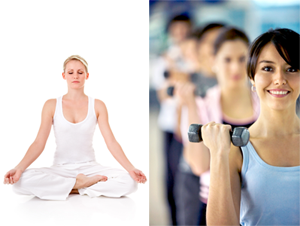 Which is better, gym or yoga? Gym and Yoga teachers Ms. Jackson and Mr. Powell gave their commentary on the benefits of each class. It seems that when you take a PE class you have all the skills necessary to play various sports. However, when you take a Yoga class, you know yourself more. You are calmer and can control yourself. In the end, its your own personal preference on which class is better for you, and depends on what fits your goals.